While WordPress may seem less expensive at the onset, Drupal is actually the most cost advantageous in the long run for enterprise grade deployments. Consider the below cost analysis infographic for the lifetime cost of each opensource project. The above infographic compares the typical cost of ownership for an enterprise grade opensource project developed with Drupal or WordPress. For the purposes of this blog post, we will describe the cost experience from the perspective of the WordPress project owner. The type of project we are considering is also important, but it may not be known at the outset. Many opensource CMS projects are guilty of skipping the discovery and information architecture phase depicted in the above graph and jumping directly into the design. WordPress projects are particularly prone to this error due to the glut of stock WordPress themes available for under $100. Website owners see a WordPress theme that is attractively stuffed with placeholder content from a similar market or vertical, and they mistakenly assume the stock theme will address all of their needs. But without the discovery phase, it is impossible to know the goals and metrics that truly define success for your website project. Without well defined goals, metrics, and architecture; the true costs of customization are also hidden from the entire project team. Our infographic recognizes the initial project launch as 80% of the perceived project completion. However, holding to the 80/20 principle, the last 20% of the project holds 80% of the actual effort. It is in the refinement and customization of the website, what appears to be the last 20% of the project, where 80% of the effort will be spent to create a website that truly performs and stands out from the crowd. Many website projects never enter into the customization phase and languish from a mediocre launch and lack of refinement over the lifetime of the project. Without this effort, your website will quite literally be one of a million similar websites. Lacking the features necessary to differentiate them in a worldwide competitive marketplace, these blandly boilerplate websites shrink into obscurity as they deliver little unique value to their visitors. The cost of not customizing your website could very well be the success of your entire business or organization. As with most things, the devil of WordPress is in the details. WordPress websites become exponentially more expensive as they increase in complexity. This is because they are not typically deployed with a robust development environment to support them. Properly configuring development, staging, testing, and production environments with Git version control requires years of enterprise development experience. Drupal projects incur more initial cost to properly setup the development environment, but then proceed with nominal cost bumps to handle new feature requests in the customizing phase of the project. Many WordPress web designers skip this type of environment preparation altogether. When analyzing the total cost of ownership, or the area underneath each project graph line in our infographic, the project is never done at the initial launch point. More and more, enterprise projects are evolving into environments that must accommodated a continuous development or continuous delivery approach. It may take as little as 3 months to go live with the first iteration of your website, but is that truly the end of the web development project? An enterprise grade website deployment must allow for feature augmentation and complexity increase over years of lifetime, perhaps indefinitely. Launched in late 2015, Drupal 8 was conceived with this continuous development approach built into the core structure of the CMS. The first hidden cost is right here: WordPress is free. If you’re talking about using the most basic functionality and themes, like for creating a blog, this is true. But by the time you purchase hosting and a couple of commercial plugins or themes, you could easily spend $40 a month or more. Just to put that in perspective, the most expensive and popular proprietary SaaS offering website package, like Squarespace, starts at a frugal $40 / month with everything included. And that’s just turning on the lights. The experience for many WordPress website owners is that of taking the free WordPress software from WordPress.org, installing it on their own inexpensive hosting plan, usually under $10 / month, and then selecting plugins and themes from a buffet of free and cheap, typically under $50, commercial offerings. With nearly an identical opensource license, Drupal is also a free CMS. In future blog posts we will detail out how the contributed modules ecology of Drupal differs from the WordPress plugin marketplace. The quick summary comparison is that Drupal does not hide the true website development cost inside of a collection of cheap plugins that over promise and under deliver. Drupal's contributed modules are mostly free, but will require professional development services to properly configure and deploy. If your WordPress web designer selected a collection of plugins that play well together -- quite often not the case -- most of the setup and configuration is done via simple options in the WordPress admin interface. Simple. But WordPress does suffer increased security concerns as a result of its own simplicity and success. With such a wide usage footprint, WordPress is naturally a prime target for hackers and malware creators seeking a ubiquitous platform to infect. 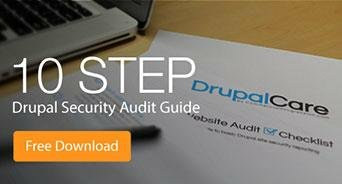 Evaluating, selecting options, and maintaining the security of a high profile website built on WordPress starts to become a serious responsibility. This is the point at which many WordPress website owners will contract a WordPress web design and development company to maintain a professional website for them. And here’s where the actual time, effort and resource spend kicks in. At this stage, a WordPress website is now costing 10s of thousands of dollars. So far the entire project has been borrowing code from other opensource projects, plugins, and theme designers. A minimal amount of effort has been spent making the WordPress website custom to the unique challenges of the website owner. And chances are good that there is little original or custom code in the project. Augmenting the functionality of a WordPress website with a plugin is an amazing experience in efficiency, like installing an app on your smart phone. But what if you wanted the birds in Angry Birds to be raccoons instead? How much would it cost to create your own custom version of Angry Birds that featured different animals? Creating the app or plugin that you installed in seconds could easily represent hundreds or thousands of programming hours. And the wheels are off the cart. This is the dilemma that many WordPress website owners find themselves in, their website is pretty good, but it needs to learn a new trick to be truly great… a new trick that none of the off-the-shelf plugins address in exactly the right way. Suddenly, the cost of doing the new WordPress plugin trick is more than the cost of the entire project up until this point. What’s more, many professional services WordPress providers don’t know how to design for this new trick. They were fine handling design or content but many don’t hire software developers, they hire web designers. The robustness of the underlying code is beyond their capabilities. Now you need a team of full stack web developers that can take on the custom software project to make your WordPress project complete. These full stack web developers don't come cheap, but they do confidently take on the project and perform a discovery of the existing website. Remember that costly step we skipped at the very beginning? What they reveal to you is that the new trick is actually a concert of new tricks that need to be coordinated across your entire website. The problem is that your website is powered by WordPress at the core, but also ten other plugins that were not programmed to be aware of each other and certainly not the new software solution that is proposed. Undaunted, the team of developers dive in and create original PHP-coded plugins for your WordPress website. At this point, they also modify the existing plugins to make them behave in just the way you need them to. Whew! There is one wonderful moment after spending about $100k where the entire project finally comes alive and starts to perform. Unfortunately in the next month, something else comes up: there is a security hole discovered in one of the more complex plugins that the website was built with. The original plugin developer can not be found and is not going to design a patch. The full stack development team takes it on, but it requires a complete rebuild of the plugin because the code was such a mess. This costs an additional $50k. This is starting to get expensive and the downtime from the last plugin fix will not be tolerated by your now edgy customer base. The full stack developer team discusses and comes back with the recommendation that you rebuild your website in a fancy new web development language like Angular or Node.js. What started as a simple feature request has turned into a $200k rebuild for a custom software solution and a separate subdomain to maintain your WordPress powered blog. Suddenly the importance of WordPress to the mission of your web presence has shrunk way down into the corner of functionality that it was always best at, blogging. The scenario presented above is typical of an enterprise project that is underestimated as a simple WordPress blog with some extras. For sure, there are many WordPress websites performing very well and with an impressively low total cost of ownership, the opensource advantage. Our contention is that these websites are typically very close to what WordPress does so well out of the box, and that is blogging. In our next article we will trace out the typical experience and project cost for an enterprise grade deployment of Drupal. Drupal is robust enough to scale with the needs of any web development project, and a proper discovery phase up front will ensure the project is scoped correctly and delivered on time and under budget.